Coming from Barcelona Eva, who graduated with a degree in Tourism, has an intimate knowledge of all aspects of the Camino both cultural and practical and has visited many of the villages/sites along the Caminio as well as walking the last 120 kilometres solo. She particulalry enjoys discussing books and films relating to the Camino. As well as yoga and pilates, Eva also enjoys numerous outdoor pursuits in Ireland including coastal cycling and trecking, and has recently become a member of an Irish all-season open-sea swimming group! What is Your Favorite Walking Holiday? I especially love coastal walks so that you get to enjoy wonderful views, often along cliff tops taking in fishing villages and small communities off the beaten track.. And there is nothing to compare with running into the sea at the end of a long hot day’s trekking and just floating there, totally relaxed and rejuvenated in the warm, salty waters with not a care in the world. I’ve walksed parts of the Cinque Terre in Italy, the Cami de Cavalls in Menorca and ‘Cami de Ronda on the Costa Brava in Catalonia. Each has it’s own special attractions and character. The grand heights of Cinque Terre, the many tiny coves and beaches, and the great waves breaking on the rocks of the Costa Brava. But where ever you walk you are always guaranteed each day to meet new people, see new places, experience the unique cuisine, discover hidden gems such as tiny churches or small markets. Every day is different and that’s why walking holidays are what I love to do more than anything else on my time off. What Do You Like About Working In Follow the Camino/One Foot Abroad? First and foremost, I have always wanted to travel the world and expand my knowledge of people and places at first hand, by getting out there and traveling to these amazing places. And having all kinds of adventures! So it has always been my dream to combine work with pleasure which is why I studied Tourism degree. But not just any kind of Tourism. I wanted to be a part of a Team, like Follow the Camino/One Foot Abroad, who, as well as offering to help people experience these amazing places, also regard preserving and protecting endangered cultures and traditions, and caring for the environment as an important part of their overall remit this is commonly known as Sustainable Tourism. 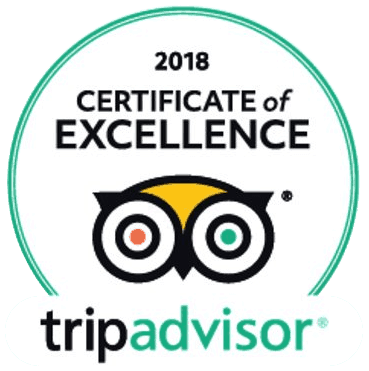 Where ever possible we protect and encourage small, local and indigenous businesses, such as small hotels and rustic accommodation, local production of food and wine along the Camino. We like to direct people’s attention to historic sites, and aspects of the natural environment and the how important it is to appreciate as well as enjoy all this. People who come on such journeys are always great to meet and know as they almost always have the same positive outlook as ourselves. And they are willing to make that extra effort in preparing and taking part in such breaks. This may be my job, but I’d hardly call it ‘Work’!!!! As Well As Walking, What is The Advantage of a Walking Holiday? A Walking Holiday has everything! Each day is different! Each place a new surprise, with new people and new adventures. New things to see, people to meet. You can choose to have a long hard, tough days trekking. Pushing yourself to the limits. Or You can take a day off, relax, meditate, switch off and just take time out to be yourself. You can take in buys town or villages or you can take off and disappear into the wilderness, lose yourself far from the ‘maddening crowd’ in some special place. So that you come back refreshed, invigorated, more alive than before and ready for whatever challenges life has to throw at you. When you are walking, you are in a special place, a place in your head but also very much out there, at one with nature and your environment. When you walk you can feel how alive you are. It can make you feel so grateful to be healthy and active and able to get out there and take in at least some part of this fabulous, amazing, magical world!! !